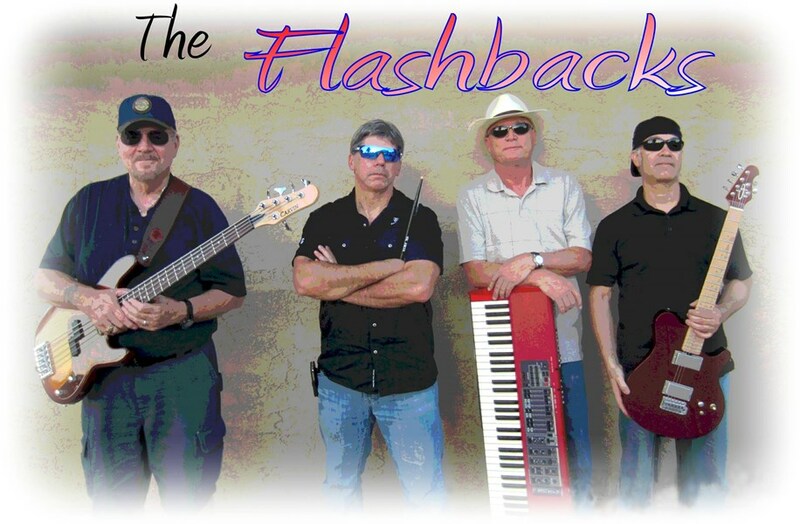 The Flashbacks is a classic "8-Track" rock 'n roll/country band that is made up of veteran musicians who have been rockin' the valley venues for a number of years. 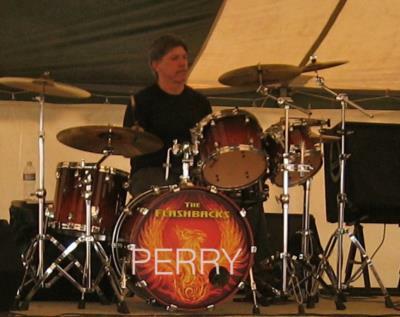 PERRY (Drums) has been beatin' the skins around Arizona for quite some time. He has played in several recording bands over the years, but still loves playing the live venues. JOHN (Lead Guitar, Vocals) is a true journeyman guitarist, has been playing lead licks and choice chops in valley bands for over a decade. He loves to play classic rock, but also enjoys kickin' back with some blues, or jammin' out to some good ol' country tunes. 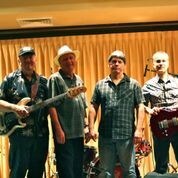 MIKE (Bass Guitar, Backup Vocals) is a veteran of playing guitar and bass all around the country. He has been the bass player for local originals bands, but still loves laying down the bottom line when covering classic rock, R&B, country and blues tunes. DAVE (Keyboards/Lead Vocals) has been ticklin' the ivories all around the valley for some time now.. He loves to "hang with da cats" and lay down some vintage B3 sounds, but he can still "run with da dogs" when it's time to kick out a honky tonk piano lead. Although the band specializes in '50s, '60s and early '70s classic rock, an evening with the boys will also include many country tunes from artists like Merle Haggard, Brooks & Dunn, George Strait, and Dwight Yoakam, just to name a few. Along the way, you'll hear some of your favorite songs from the Rolling Stones, Bob Seger, Ricky Nelson, Lynyrd Skynyrd, Santana, The Drifters, Van Morrison, Stevie Ray Vaughan, The Eagles, Marshall Tucker, and many, many more. Our goal is to make your event the "bestest, funnest" happening ever! We will do our best to accommodate your needs, so let's "Flash Back" and have a blast!! Please note The Flashbacks will also travel to Sun Lakes, Higley, Gilbert, Queen Creek, Sacaton, Mesa, Tempe, Scottsdale, Phoenix, Fountain Hill, Apache Junction, Chandler Heights, Glendale, Carefree, Peoria, Cashion, Casa Grande, Bapchule, Paradise Valley, Laveen, Sun City, Maricopa, Coolidge, Tortilla Flat, Fort Mcdowell, Stanfield, Florence, Tolleson, Rio Verde, Avondale.